Steeped in tradition and religion, filled with color and fanfare, Philippine festivals are always a sight to behold and an experience to remember. Nothing less can be said for festivities held in the Visayas, where locals and tourists alike gather for food, merrymaking and thanksgiving. Blogger Anna Birzgale (BalticMuse.com) captures the colorful culture and sweet harvest of the Guimaras Manggahan Festival. An island province in Western Visayas, Guimaras is famed for being the home of pristine beaches, thriving marine life, and what are considered the world’s best-tasting mangoes. To celebrate its sweet and bountiful harvest, Guimaras holds the Manggahan Festival every May, peaking in the third week. The month-long festivities are marked by street dancing and talent competitions, as well as a cultural showcase that depicts the province’s cultural and historical heritage. During the festival, travelers can get their fill of sweet Guimaras mangoes and indulge in Mango-All-You-Can offerings. For less than P100, they can eat as many fruits as they can for 30 minutes. There are also trade fairs where tourists can support the local economy by purchasing indigenous crafts, souvenir items, and yummy pasalubong products derived from mangoes such as mango piaya, fruit jam, and even mango ketchup. Those who are eager to experience the annual Manggahan Festival can fly to Guimaras via Cebu Pacific to Iloilo from Manila, Cebu, Davao, Puerto Princesa, Cagayan de Oro, General Santos, Hong Kong or Singapore. From the city, head to Ortiz Wharf and take a pump boat to Guimaras in less than 20 minutes. Blogger Renz Bulseco of The Traveling Nomad shares that the Pintados-Kasadyaan Festival—held annually in June—was an experience to remember. “Watching the performances was really spectacular,” he adds. The Pintados-Kasadyaan Festival is held in the province of Leyte every June, paying homage to Tacloban’s patron saint, the Señor Santo Niño de Tacloban. The festival also unites two festivities from different provinces: the Pintados Festival of Tacloban and the Kasadyaan Festival of Leyte province. A Visayan word that means merriment, "kasadyaan" gives tourists a peek into what the festival is all about—a fusion of dances, music, and religious and cultural heritage. The celebration also recalls the first inhabitants of the Visayas region who are called Pintados, a group of men and women whose bodies were covered in tattoos. The festival harkens back to history as performers painted in an array of colors fill the streets, dancing to indigenous music and portraying the traditions that flourished in Leyte before the Spaniards came. 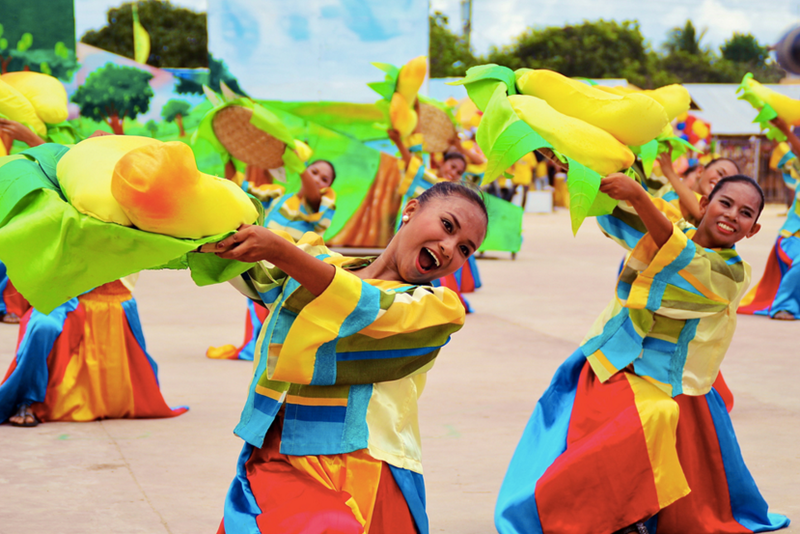 Every July, the Sandugo Festival is held in Tagbilaran, the capital of Bohol and known as the "City of Friendship." It commemorates the 16th century treaty of friendship between Spanish explorer Miguel Lopez de Legazpi and chieftain Rajah Sikatuna, which was sealed through a blood compact or sandugo. During the festival, the streets of Tagbilaran are filled with young talents decked in creative and colorful costumes, gracefully dancing and proudly illustrating their rich history. 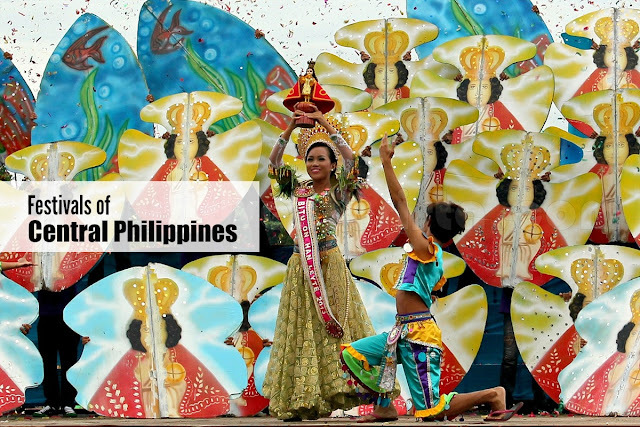 There are also cultural shows, fireworks displays, and a reenactment of the sandugo. Travelers who wish to know more about Bohol’s heritage and history can visit the Sandugo Shrine, which can be found in Tagbilaran’s Bo-ol district. The monument, which features the bronze statues of Miguel Lopez de Legazpi, Rajah Sikatuna, and other witnesses, were made by Boholano and National Artist for Sculpture, Napoleon Abueva. Get to know the culture and color of the Visayas with Cebu Pacific, as it flies to Iloilo, Leyte and Bohol. With its trademark lowest fares, extensive route network, Cebu Pacific lets you celebrate different festivals all year round. For booking and inquiries, visit www.cebupacificair.com or Cebu Pacific’s official Facebook and Twitter pages.